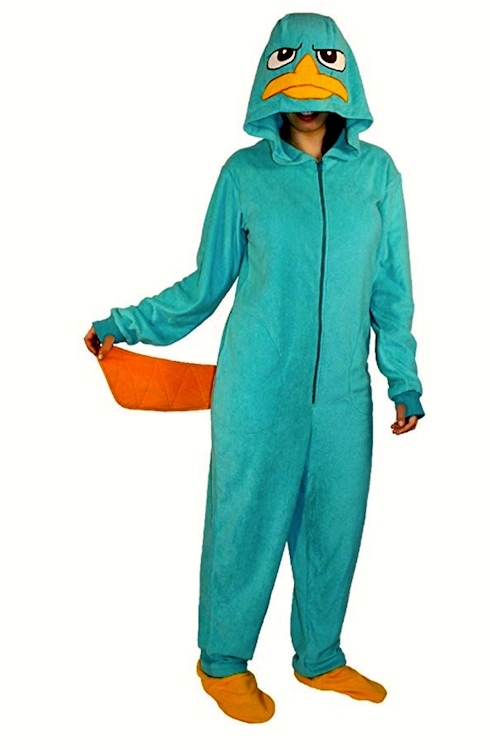 Perry the Platypus is “an anthropomorphic platypus from the animated television series Phineas and Ferb” (on the Disney Channel). 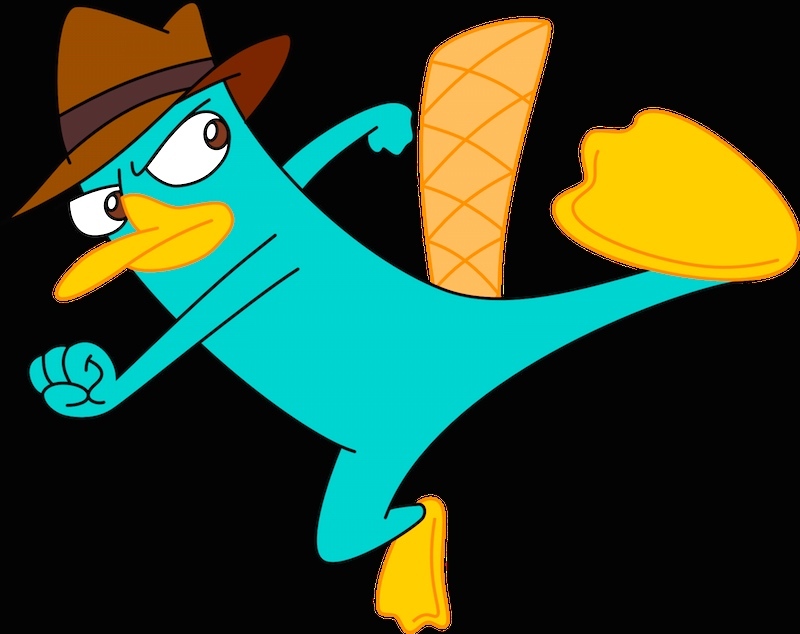 He’s Phineas and Ferb’s pet platypus, living a double life as a member of the all-animal espionage organization O.W.C.A. (Organization Without a Cool Acronym). 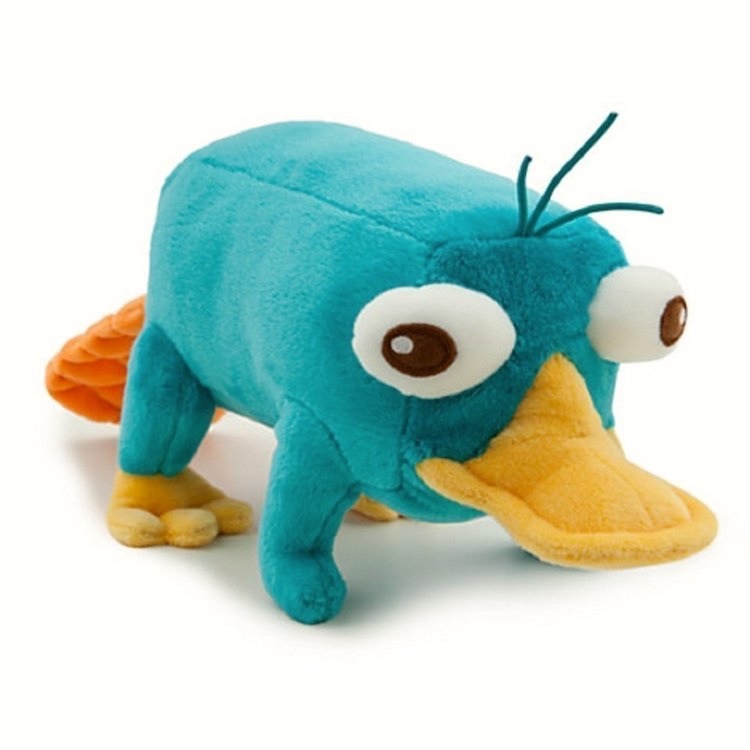 Merchandising of the character includes plush toys, t-shirts, wooden toys, glasses, and coloring books, along with appearances in spin-off fiction and a 2009 video game for the Nintendo DS. Disney even makes Perry baseball caps. 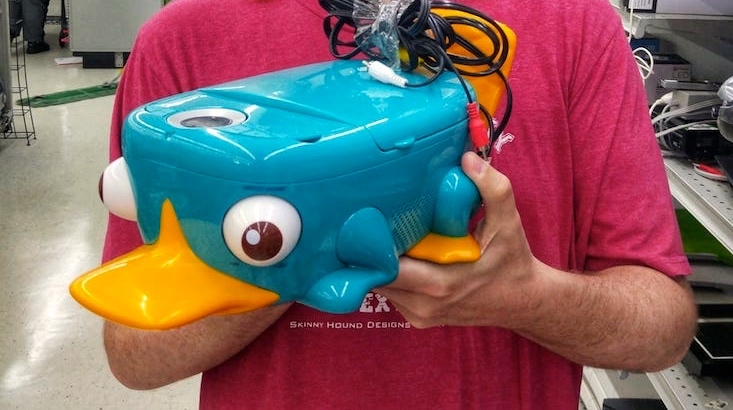 Otherwise, outside of Disney, you can find Perry in papier mache, as a pinata, of wood, in a 3D printed version, in vinyl, and in foam core material. 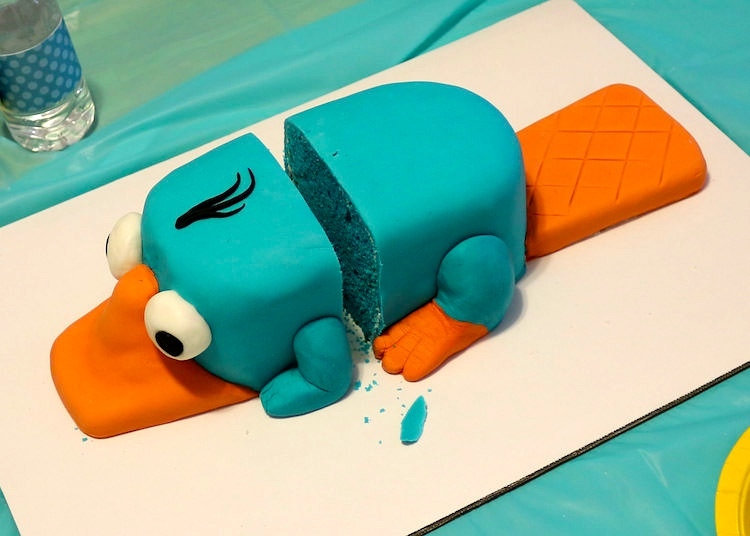 At this point, we’re a long way from platypuses. This entry was posted on June 30, 2018 at 3:25 pm and is filed under Clothing, Language and food, Linguistics in the comics, Toys and games. You can follow any responses to this entry through the RSS 2.0 feed. You can leave a response, or trackback from your own site.